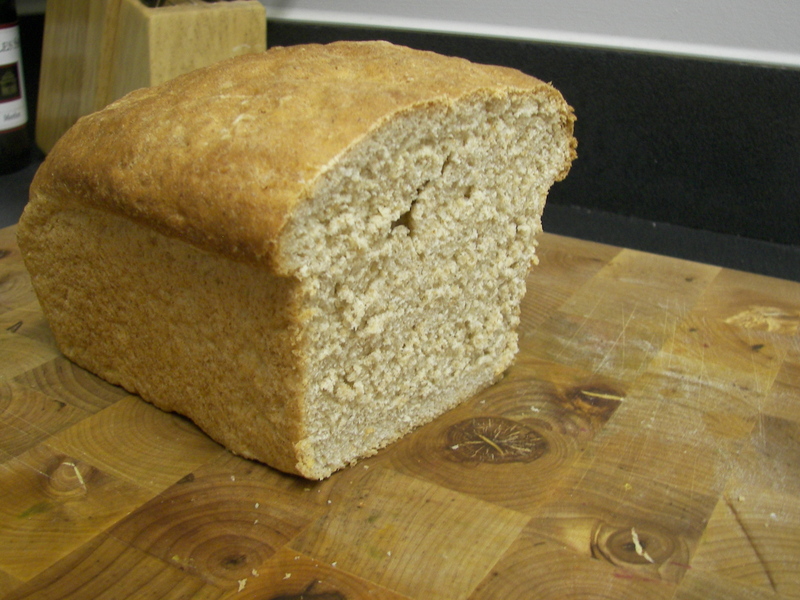 One way to cut down on your food budget is to make your own bread. It is deceptively easy, once you get the basics down. When you buy a loaf of (quality) bread at the store it’s typically around $4, if you make it yourself, it’s around $1. Making your own bread isn’t a lot of work, but it is a lot of waiting. This is my favorite basic bread recipe. Sprinkle the yeast over 1/2 cup warm water (if it’s too hot it will kill the yeast- read the back of the yeast package!). Stir in the honey, and mix till combined. Let this stand for 5 minutes. In the meantime, in the bowl of your stand mixer (fitted with the paddle attachment), add the melted butter, water, and honey. In another bowl combine the rest of the dry ingredients and mix well. Once the 5 minutes is up (and the yeast mixture looks nice and frothy) add it to the bowl of the stand mixer. Add the dry ingredients 1 cup at a time, mixing between each addition. Once everything has been added switch to the dough hook and turn on medium for about 2 minutes. It should be kneaded enough, but if you like you can turn it out onto a floured surface and knead it a little bit longer. It’s ready when it looks smooth and bounces back when you poke it. Place the bread in a large buttered bowl, and cover with a damp towel. Let this rise and a warm spot for an hour. Butter a loaf pan, and shape the dough to fit in the loaf pan, loosely cover with some plastic wrap and let rise for about 45 minutes. Pre heat oven to 450 degrees. Remove the plastic wrap and put the bread in the oven, immediately turning it down to 400. Bake for about 35 minutes. You may need to cover the bread with aluminum foil if it starts to brown too much. When the bread is done, let it cool completely before slicing (this will be very hard to do).